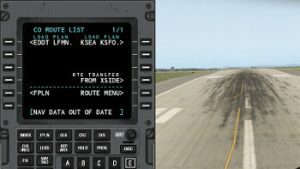 100% compatible with X-Plane. It uses the X-Plane native “*.fms” format for the flightplans. Save your flightplans in XP folder Output/FMS plans, then load it in the FMS with “CO ROUTE LIST”. XPFP is compatible with UFMC.